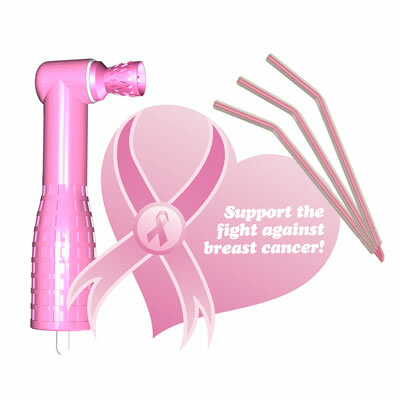 Pac-Dent Pink | Pac-Dent, Inc.
Pac-Dent presents a new and practical way to support the fight against breast cancer while getting your job done. Introducing our line of Pink products, which, through your purchase, will support breast cancer research and awareness. With every purchase, a donation will be made towards finding a cure to breast cancer. The Pink line includes our popular ProAngle Plus disposable prophy angles, NeoTip disposable air/water syringe tips, iVisor face shields, and Universal X-Ray Film Mounts. So support your mother, sister, wife, daughter, friend, and patients and look into our Pink line today.